Oswego Lake at the Dam. 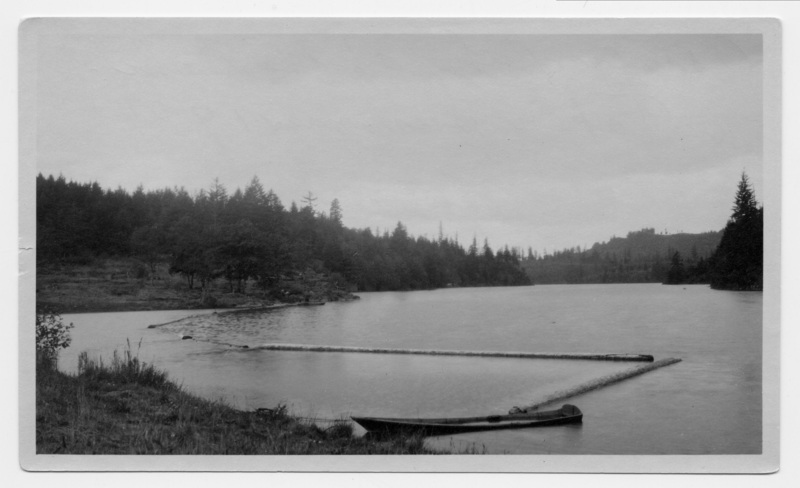 Taken Summer 1924. 202a Oswego Lake scenic. Gift of Ava Crowe. [stamp]: velox 246. Description Scanned as b & w. Same as 155a. East end of Lake near the dam, looking West from the public boat rental and swim area. Transcription Oswego Lake at the Dam. Taken Summer 1924. 202a Oswego Lake scenic. Gift of Ava Crowe. [stamp]: velox 246.